Fox Valley Institute would like to introduce our Psychological Assessment Program. Psychological tests are written, visual, or verbal evaluations administered to assess the cognitive and emotional functioning of children and adults. These forms of evaluations are research-based and highly reliable. They are used to assess a variety of mental abilities and attributes. We specialize in consulting with clients who have complicated presentations or feel “stuck” in their progress. We use innovative, state-of-the-art psychological tests and technologies, such as the new Attemo, an attention and motor control test for objectively measuring symptoms of ADHD. We also provide verbal and written feedback to each client so we can collaborate on their treatment plans. Furthermore, we clarify diagnoses to ensure that the best medicinal and therapeutic interventions are being utilized. We aim to understand our client’s unique personality style and how it impacts their treatment. Clients may exhibit similar symptoms, but their unique perspectives and interpersonal approaches ultimately contribute to how well they can adapt. Hence, we provide an in-depth perspective on their personality, allowing for a more personalized treatment plan. For parents who are concerned with how their child is doing at school, we specialize in helping those students and parents in understanding the nature of those difficulties – whether that is due to a learning disorder, a problem with attention, or some other social-emotional difficulty. We offer well-validated intelligence tests to clarify their general intellectual abilities, as well as achievement tests to clarify how well they are learning in the areas of reading, writing, and math compared to those their age. Often your therapist or psychiatrist will want to clarify the nature of your emotional and behavioral difficulties so that they can provide the best treatments to you. We work with children (ages 6+), adolescents, and adults. In a typical diagnostic assessment, we utilize an in-depth diagnostic interview, a series of self-report and observer questionnaires, and other performance-based measures to determine the best diagnoses that describe your situation. We will then offer verbal and written feedback with individualized treatment recommendations that can be shared with your mental health professionals. This type of assessment typically includes 7-10 hours of face-to-face time. Are you considering bariatric surgery or pain management procedures? Your surgeon and insurance company will require that you participate in an evaluation to ensure that you are psychologically well enough to proceed with the surgery. 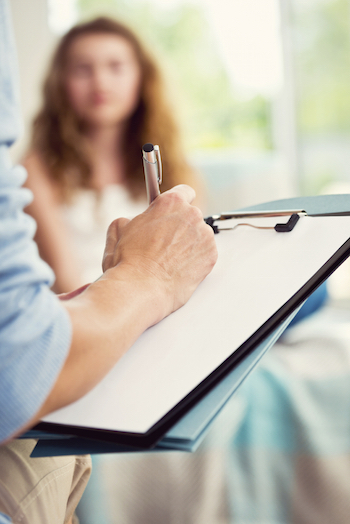 In a typical pre-bariatric surgery or pain management screening, we utilize a psychological interview and 1-2 clinical questionnaires to determine your psychological prognosis following your procedure. We will then provide a letter to your surgeon summarizing the results. This type of assessment typically includes 3-5 hours of face-to-face time. Are you are considering international adoption? The adoption agency will make you aware of the specific requirements of the country you are adopting from. For many of those countries, you will be required to participate in a brief psychological evaluation that includes an interview and a commonly used personality measure like the MMPI-2. This type of assessment typically includes 2 hours of face-to-face time. What are the advantages of Psychological Assessments? Psychological Assessments help clarify diagnoses to ensure the best possible treatment by understanding the client’s personality style. Once a clients personality style is assessed, it will allow for a more personalized treatment plan. Who can benefit from Psychological Assessments? Those who can benefit from Psychological Assessments are children, adolescents, and adults from ages 6 and older. What are the forms of payments accepted? What are common Psychological Assessments? Prior to the testing session, individuals should get a good night’s rest and bring snacks for breaks during testing. It is expected that parents remain in the office with their children during testing unless we have discussed and agreed to other arrangements. Should a situation arise where the individual to be tested is feeling ill or a circumstance that would hinder test results has come up, please notify us as soon as possible. If the individual is taking any new medications that we have not been informed of previously, please update us with that information. Each assessment consists of a one-hour diagnostic evaluation, an average of three to four hours of testing, review, and analysis of test results by the Clinical Psychologist, written reports of results, and a one-hour feedback session. We assess children, adolescents, and adults, starting at the age of 6-years old. Blue Cross Blue Shield PPO insurance is accepted, otherwise, the assessments are self-pay. For self-pay clients, we are able to provide reduced fee assessments through our doctoral-level graduate students. Contact us today at 630.718.0717 to set up your appointment! For more information about psychological testing, please contact our Client Care Specialist at 630-718-0717 x 240 or clientcare@fvinstitute.com.